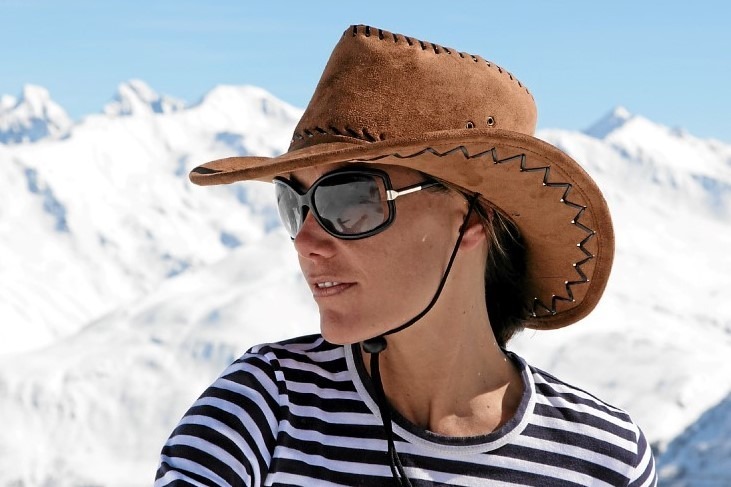 Tara Palmer-Tomkinson who sadly passed away in her sleep of natural causes on 8th February 2017 was a great advocate for Klosters and will be so very much missed. The Palmer-Tomkinson family have long standing roots in the village and Tara was introduced to skiing on the Heid lift when she was very small. Being the youngest of three, she gaily went along with her older siblings either in a rucksack baby carrier on her mother’s back or between her legs. In those days her parents Charlie and Patti had re-started the Marden’s Club Junior Training and her skiing was really learnt in Marden’s rather than in ski school which probably explained her desire to ski fast! Her sister Santa would say she skied like the wind and called her Road Runner in the Looney Tunes and two years ago Tara in fine style, bravely raced with her brother James in the Parsenn Derby. Tara’s parents were keen to take their children off the piste from an early age, particularly over New Year when the queues could be lengthy and her least favourite run was Plan da Gorz as she didn’t like walking uphill or climbing (she called it tramp-tramping) so her father would take a rope to pull her up! Tara epitomised someone with the real Klosters spirit – she was a daring bold skier and loved these mountains not only in the winter but also the summer. She had a huge generous and feisty spirit and the locals from the lift man to the hoteliers to the lady in the bread shop to the bar man she greeted them all with her warm smile and infectious humour and they loved her for it. Tara’s first experience of New Year’s Eve celebrations in the Casa Antica was about aged 14 (Alex adored her) when her mother turned up at 1.00am in her dressing gown to fish her out! Only Tara could daintily dance on the piano without knocking over a single glass and then jump down to play an appropriate tune – she was a talented pianist. One of her penchants was Roast Chicken and woe betides if Tara spotted you with a chicken in your shopping basket in the coop as if possible she would be joining you for dinner! Tara loved her home here which her mother Patti had brilliantly designed in the atmospheric style of a true rustic chalet and Tara adored feeling like a local and felt safe and happy here. Tara held Klosters in her heart and now Klosters will hold her forever in its heart.